A strong wind blows embers from smoldering trees at the Thomas Fire on December 16, 2017 in Montecito, California. The fire has now been officially declared out. The Thomas Fire destroyed more than 1,000 structures last year, but John Davis’s home in Ojai survived. And it wasn’t all luck. An architect by trade, Davis built the home to be fire-resistant using special building materials and strategies to protect his home from the ever-intensifying wildfires California faces. 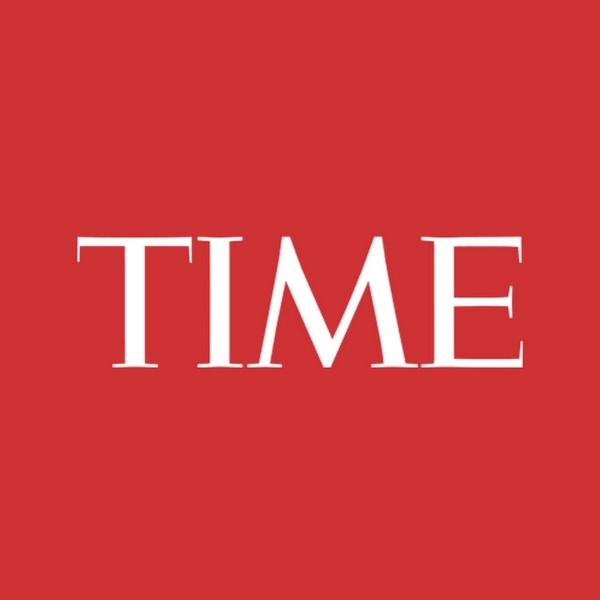 See Nick Weissman's wonderful video HERE as a Time Magazine, Red Border Film. The CSIRO (an Australian government funded research organization) has generated significant data in their analyses of "How Bush Fires Attack". They conclude that ember attack is the most prolonged and persistent mode of attack, commencing before the fire front and persisting for several hours afterwards. Radiant heat is at dangerous levels for perhaps 5-10 minutes before and after the flame front passes. Flame contact may impinge on the building for just a few minutes. Strong winds associated with fires exacerbate the effects of all three. We know from anecdotal evidence from those who have seen the fires ravage Upper Ojai that the fire line moves quickly and literally sweeps over structures. In our 2008 fire-safe building design, we responded to all areas of vulnerability to fire, but focused particularly on ember attack. At our Koenigstein House, the line of glazing is pulled back four feet from the face of the house. The fire-doors pull across these 16' wide recesses (three to the north and three to the south) to create a hard shell designed to be impervious to the wind driven embers which can precede the actual line of the fire by up to a mile and arrive with a ballistic force capable of breaking the two layers of tempered window glass now mandated by the California Building Code in high fire districts. When the interior begins burning a house typically explodes in flame and ignites the landscape around it. It is in such a manner that structures - whether the fire line reaches them or not - can actually generate satellite fires that run ahead of the main fire line. In addition to their function as a hard shell to deflect embers, fire-doors also potentially function as barriers to heat radiation. In this latter role it seemed as though a cool roof material would be effective since a material designed to reflect solar radiation would also reflect radiant heat generated by a chaparral fire. We chose a 24ga. sheet metal soffit panel in a 'cool roof' finish identical to the standing seam roof. The panels were attached to ipe strips laid into a 1/4" x 3" x 3" steel angle frame. They hang from a continuous galvanized track attached to a 1 x 6 ipe ledger. They are a handsome addition to the building and sit against the stucco facade awaiting their call to action - which we sincerely hope will never come. The CSIRO addresses the radiation issue and provides experimental data on its impact on the building envelope. They note that at peak levels, radiation can crack and distort windows, doors and cladding materials, allowing breaches of the building envelope and ember attack on flammable framing members. Building ignition occurs when exposed materials, dried and prepared by sustained wind, ember and radiation attack, are contacted directly by flames. We addressed these issues by using stucco, ipe and flame and ember-proof exterior soffits. The framing in the house is all steel, and the shear is provided by 24g steel sheet in place of the usual plywood. We continue to impress upon our clients that choosing to live in the wildland/urban interface requires a commitment to co-existing with endemic natural cycles of flood and fire. Our goal is to design structures that can endure - in an ecology in which fire is an occasional presence. 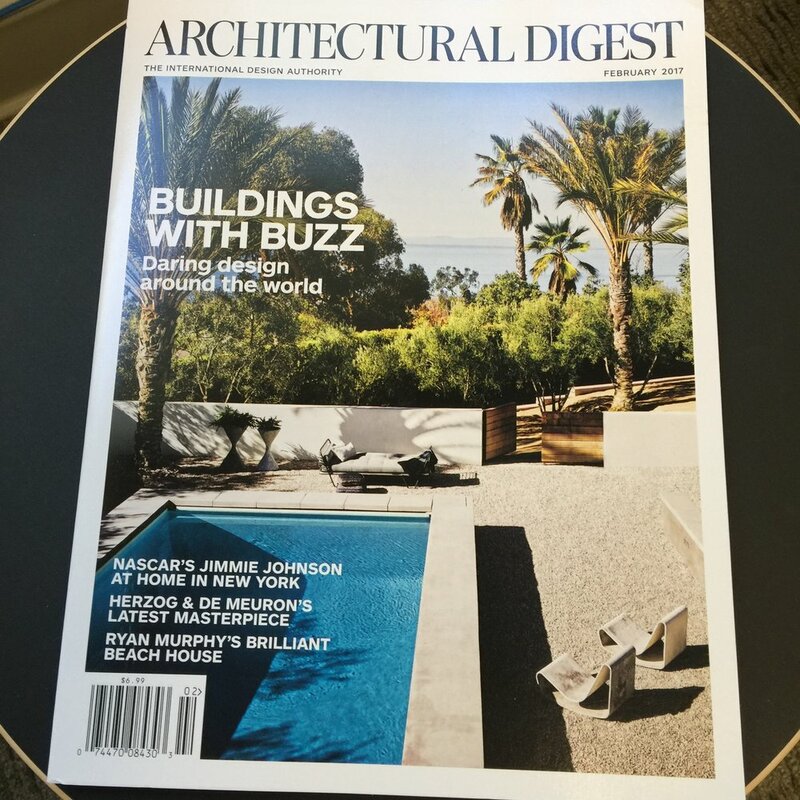 Mark Singer may have designed "Ryan Murphy's Brilliant Beach House" - but somehow we (db:a with landscape consultant Bridget Hedison) managed to score the cover! Mark's building was already in construction when we came on board and were charged with creating both a hardscape and landscape in which his building, widowed at the bottom of a very steep, pie shaped double lot, might sit. We created terraces at the main house, stairs and landings that dropped down the slope - all with commanding views of the Laguna bay - and then a French-style decomposed granite allée at the base of the slope that sweeps around to the pool and courtyard pictured at left. The pool is plastered in a shell-flecked white pebble finish with a raised sit-wall surround. This was a landscape transformed: requiring many hundred cubic yards of concrete and tons of steel to retain the hill and then many hundreds of trees and shrubs. A vibrant green lung set in the hills above the beach, it now makes a real impact on the areas' micro-climate.